Home > Awards > Affiliate Erectors Have 6-Year Safety Award Streak! 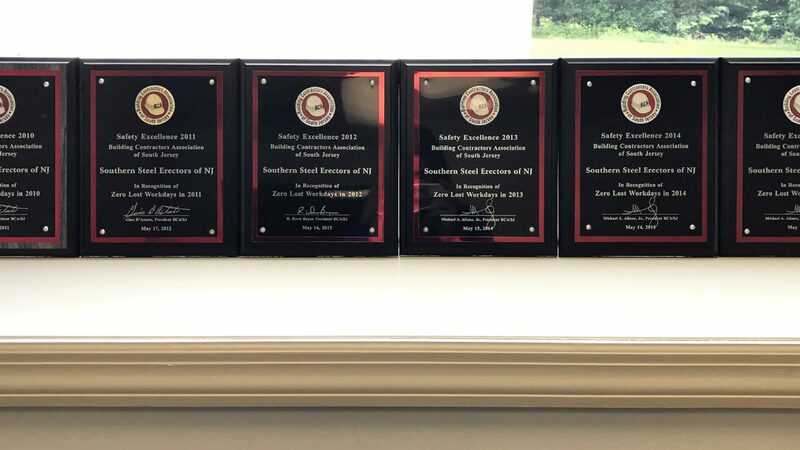 SNJS would like to acknowledge and commend our affiliate company, Southern Steel Erectors of New Jersey, for receiving the Building Contractors Association of South Jersey’s Safety Excellence Award 6 years in a row. They had Zero Lost Work Days in 2010, 2011, 2012, 2013, 2014 & 2015. Congratulations!